I’m very excited to welcome not only two very talented authors but also mother and daughter! Alice Brown and Lady V – thank you for joining Wednesday Words this week. Hi Lynne, thank you for having us on your blog today. Hopefully we can share a bit about who we are as authors, and also discuss our soon-to-be-released book, Sapphamire, Dragons of Dragonose 1. Lynne: I’m so glad to have you both here today. First off, can you tell me when did the two of you get started writing? Lady V: Both mom and I started about three years ago. I guess you could say that we got each other into writing, because she was urging me to try creative writing as a way of releasing pent up emotions and I was in-turn telling her she needed to practice what she preached! Lynne: Oh wow! Mom, do you have anything to add to that? Right, like anyone wanted to hear about a forty-something, stay-at-home, military wife that homeschools her daughter. Not. Then she turned to look at me and I knew from the look on her face that something outrageous was getting ready to come out. “I know! Write about vampires!” And that is how it all got started. By the time we walked out of the restaurant, I had gone through every scrap of paper I could find in my purse and then turned to using napkins as we came up with the story line for what turned out to be my first published book, Vampires Among Us. Lynne: So you both started writing separately, I am assuming. What made you want to write Sapphamire together? Lady V: You need to know our family dynamics to understand what brought this story on. Dad has a great love for anything science fiction and fantasy. Mom is a great story writer once she gets a storyline started, but dad and I are better at coming up with ideas for books. So, quite often we can be found sitting around the den, dining room table, restaurant, wherever, and discussing ideas either for future books or hammering out storylines for current works in progress. It was on one such occasion that the subject of dragons was brought up. Alice: (shakes head) I can’t even remember who brought it up first to be honest. I do remember Lady V being interested, but stated that she had so many other books partially written, that it would have to be put on the back burner. When I suggested we work on it together, she jumped on it. And we both owe a thank you to Mr. Brown, who helped contribute to the developing of the Dragonose realm. I do a lot of “behind-the-scenes” proofing and helping Lady V anyway; so as far as I was concerned, this was far from our first joint project, although it did turn out to be our first published project. Lynne: Is Sapphamire the only co-written book the two of you have planned? Lady V: No, Sapphamire is the first in a series, of which we are already working on both book two, Fire and Ice, and book three, Ivormantis. We also have story lines lined up for books four and five, but haven’t started those yet. Lynne: What can readers expect from you both in the future? Lady V: We hope to have the next four books for Dragons of Dragonose series done this year. I am also working diligently at completing some of my “half-finished” projects, and hope to have several of those published this year also. Alice: I will be working with Lady V on the Dragons of Dragonose series, but I have also started a new series, Texas Vampire Rangers. The first book is in editing now, and have plans to continue that series at least another three books. After that, not sure at the moment. 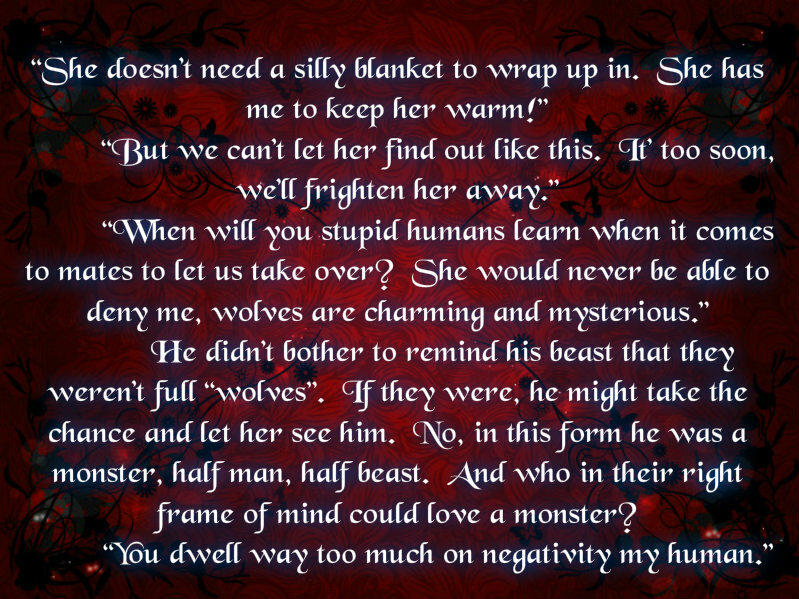 I have a few other storylines out there, including a start of a werewolf series that I would like to get back to. I can tell you that as much fun as we are having working on the Dragonose series, it will be far from the only series that is co-written. Lynne: Lady V brought up part of my next question a moment ago. Since you are a mother/daughter team, tell us a little about your private life. What is an average day in your household like? Lady V: Mom and I have been in each other’s work since the beginning. I have a bad habit of starting a book, getting part the way finished, and then getting another storyline in my head and ditch the current work in progress for the new story. Needless to say, I have a LOT of unfinished stories that we are trying to get finished so they can be published. And yes, as I stated earlier, we can often be found sitting around hammering out story ideas. But our usual day? Our usual day is mom sitting at one end of the house and I on the other, working on our books until one of us needs another opinion, rewording, etc. and then depending on how lazy we are feeling as to whether we get up and go to the other person or simply yell across the house. Want to know what makes dad roll his eyes at the two of us? It’s when he realizes we are texting one another so we don’t have to get up from our work but can still communicate. “But you are in the same house!” he grips. When I am not writing, I am usually spending time with my animals. Three cats, a puppy, and a bearded dragon keeps me busy! Alice: Yes, for some reason, the two of us texting really gets to Mr. Brown, who can usually be found working on one of our websites, advertising, etc., and sitting somewhere in the middle of the house and his two writers. It truly is a family affair! Lynne: Can you tell us something about your upcoming book? When will it be available? 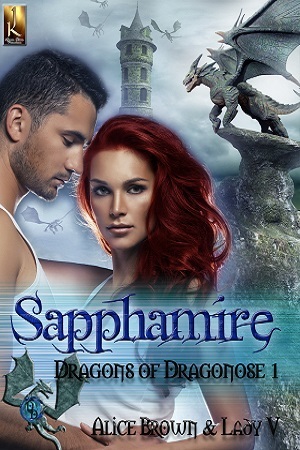 Lady V: Sapphamire, Dragons of Dragonose is set to be released February 27. Blain Barrymire is a dragon shifter from the land of Dragonose. His dragon’s name is Sapphamire. Blain came to earth to find his mate about eight years ago. He runs a powerful business out of his castle in Iceland. Interviewing for the position of personal assistant, Natasha Clayton leaves a few minor details out of her resume. Arriving for the interview, Blain is stunned to realize that not only is he interviewing a female that he had originally thought was a male, but that female is his mate! Natasha is out of options and time. The High Council of Others considers her a ticking time bomb because her powers didn’t manifest in the usual timeframe. She’s part demon, part pixie, and part angel. The council is confused and frankly scared that her powers haven’t come to light yet. She has no idea of the life altering events that are ahead of her. But Blain and Natasha will soon face much larger problems than the Council of Others or Natasha’s hidden powers. King Thoran has called Blain home to defend Dragonose against a long-standing enemy’s attack. Sapphamire is injured during the battle, and life for both Blain and his dragon will be forever changed. 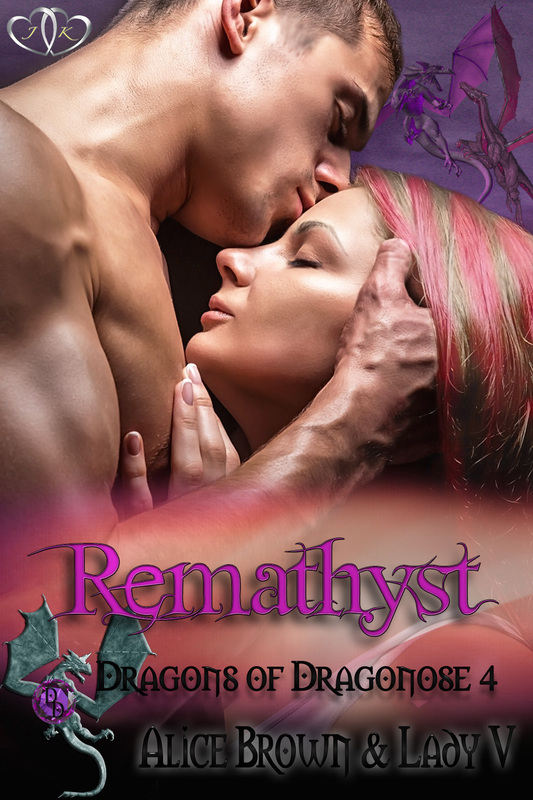 They must learn to depend on Natasha’s love and new-found abilities to see them through. Lynne: I understand that you are offering a give-away today to one lucky commenter? Alice: Yes we are! Thank you for mentioning it. We’ll select a random winner from all the commenters today and they will win a Sapphamire mousepad and an autographed bookmark. Lynne: What a great treat today! Good luck everyone. I want to thank both Lady V and Alice Brown for visiting with us today on Wednesday Words. I hope you enjoyed their visit as much as I have! I can’t wait for February 27th when their book Sapphamire releases from JK Publishing and all ebook locations. Oh, and don’t forget to leave a comment for a chance to win the mousepad and autographed bookmark.